The ankle joint is medically known as the talocrural joint. It is formed by three bones: the tibia, fibula, and talus that are supported by strong ligaments. As the ankles support the weight of the entire body, ankle injuries are very common. Each year, approximately 2 million patients are treated for ankle injuries. Use this resource to learn about ankle anatomy, injuries, and rehabilitation. Ligaments of the Ankle Joint: Ankle sprains comprise one of the most common injuries of the ankle. If you have sustained an ankle sprain, knowing what ligaments are involved can help in a better understanding of your injury. Ankle Sprain: A sprained ankle results when the ligaments of the ankle joint are stretched past their normal range. This results in ligamentous tears that can vary between small rips to complete disruption of the ligament. Most ankle sprains occur during sport events that include activities such as running, jumping, or walking. Initial symptoms of a sprained ankle include pain, tenderness to touch, swelling, bruising, inability to walk or stand, and joint stiffness. Achilles Tendonitis: The Achilles tendon is the large tendon located on the back of the heel. It is formed by the insertion of the calf muscle onto the heel bone. Achilles tendonitis is an overuse injury, that occurs when repetitive use of this tendon results in little tears throughout the tissue. Common activities/conditions that result in Achilles tendonitis include: running, jumping, tight calf muscles, and excessively flat feet. Ankle Stretching Exercises: Early stretching after sustaining an ankle injury is an important step in the rehabilitation process. 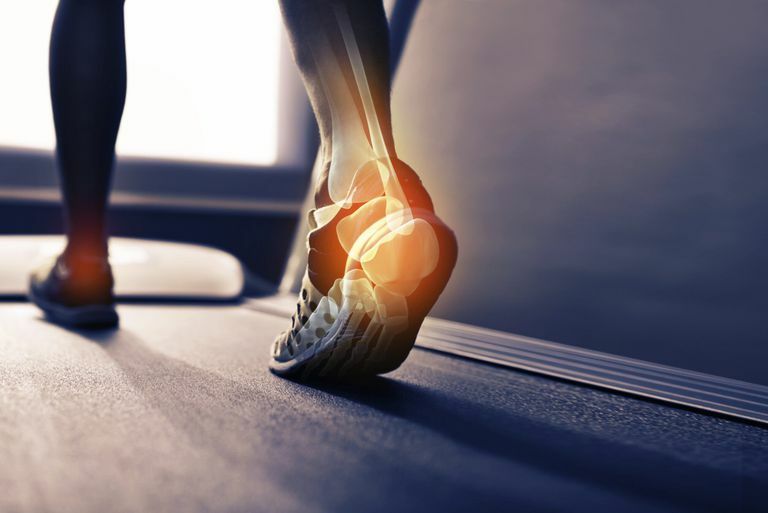 With the prolonged period of rest that is required after suffering an ankle injury, the muscles around the joint often become shortened and tight. This results in a decreased amount of available motion around the ankle joint. To prevent further injury, it is important to begin gentle stretches of your injured ankle as soon as approved by your physician. Balance Exercises: Improving balance and proprioception can help you gain stability in your ankle joint and help you prevent future episodes of ankle injuries. Balance exercises may include the single leg stance, the BAPS board, or the T-stance exercise. Your PT can show you which balance exercises are best for your ankle. If you have an ankle injury, checking in with your physical therapist is a good idea. Your PT can assess your condition and make recommendations about the proper treatment. Exercises that focus on improving ankle range of motion, strength, and stability can help you quickly recover and get back to your normal activities. Journal of Athletic Training, Rehabilitation of the Ankle After Acute Sprain or Chronic Instability, 2002 Oct–Dec; 37(4): 413–429.